Presented "The Clean Water Act: Water Quality, Water Resources, and Wetlands Under the Microscope" in Washington, D.C.
LITTLE ROCK, AR – Attorney Allan Gates served on the faculty of the 2019 Environmental Law Conference held in Washington D.C. He participated on a panel titled "The Clean Water Act: Water Quality, Water Resources, and Wetlands Under the Microscope" and discussed the recent decisions relating to water quality standards, groundwater discharge cases, nutrient pollution, stormwater, enforcement trends and "The Water Transfers Rule." Gates currently serves as President of the American College of Environmental Lawyers. He practices in the areas of environmental and toxic tort and commercial litigation. 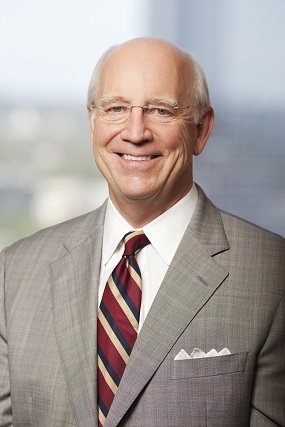 He is counsel to private parties, public interest groups and trade associations in non-environmental regulatory matters and appears regularly before state agencies, including Arkansas Department of Environmental Quality and Arkansas Pollution Control and Ecology Commission. Gates also serves as defense counsel in hazardous waste and Superfund actions before state agencies, EPA and in-state and federal court. Since 1969, Environmental Law Institute (ELI) has played a pivotal role in shaping the fields of environmental law, policy and management, domestically and abroad. ELI is an internationally recognized, non-partisan research and education center working to strengthen environmental protection by improving law and governance worldwide. They deliver insightful and impartial analysis to opinion makers, including government officials, environmental and business leaders, academics, members of the environmental bar and journalists. Mitchell, Williams, Selig, Gates & Woodyard, P.L.L.C. is a 92-attorney corporate law firm that provides strategic and comprehensive legal services to help clients achieve their goals. Established in 1954, the firm has offices in Little Rock, Rogers and Jonesboro, Arkansas and Austin, Texas. For more information, visit MitchellWilliamsLaw.com.